MADRID -- Spain's Supreme Court on Tuesday upheld a lower court's conviction of the husband of Princess Cristina for fraud and tax evasion, though it acquitted him of forgery and reduced his prison sentence by five months. The court ruled on an appeal that Inaki Urdangarin, King Felipe VI's brother-in-law, was also guilty of misuse of public funds, abuse of power and influence peddling and should serve a sentence of five years and 10 months. The lower court, in Palma de Mallorca, convicted Urdangarin in a 2016 trial that captivated Spain as Princess Cristina testified in court. It was the first time a member of Spain's royal family was put on trial since the monarchy was restored in 1975. The case centred on accusations that Urdangarin embezzled about 6 million euros ($7 million) in public funds. 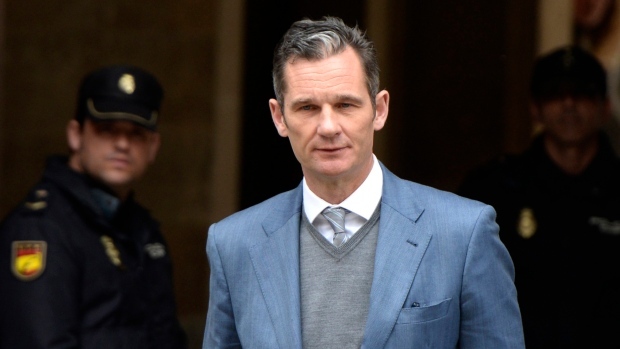 The court found that Urdangarin and his business partner Diego Torres exploited the duke's "privileged status" to obtain public contracts related to sports events. The Supreme Court also upheld the verdict that Princess Cristina benefitted from her husband's crimes. She was ordered to pay a fine of 136,950 euros ($161,500). Sources at the Zarzuela royal palace commented after the ruling that the monarchy has "total respect for judicial independence," the Europa Press news agency reported. Princess Cristina and her husband were stripped of their titles of the Duke and Duchess of Palma after the initial court verdict. 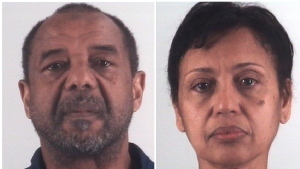 The couple moved from Barcelona to Geneva with their four children when the first allegations of wrongdoing emerged in 2012.